What’s the secret to having a successful business in the digital age? Is it having the latest technology and bleeding edge software? Is it having a synchronized team with the brightest minds in the industry? Or is it having the funds to develop new products further? These factors can definitely bring success, but any business can still be profitable even without one of them. No, they’re not the secret to having a successful business in the digital age. Having a user-centered brand is. It may sound contradicting, especially since everything seems to be revolving around technology nowadays— as people sort of panic every time a rumor on the latest iPhone lands on social media, and businesses are scrambling to implement technological advancements on their systems to keep up with the times. But at the end of the day, a business relies on people to survive, and not focusing on customers is the biggest mistake any business can make. In fact, in a world where people spend most of their time in social media to interact not only with friends but also with businesses, having a brand that is centered on users is a must. 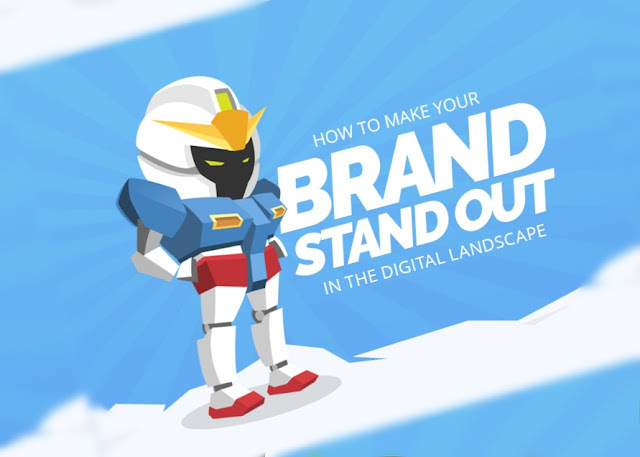 The infographic below from MicroCreatives highlights the importance of having a user-friendly website and how it contributes to helping a brand stand out in the digital landscape. Aside from focusing on the users, brands can also benefit from excellent storytelling to reach and connect with people on a more personal level. These methods can be very useful to brands because in the digital age, being personal has become a necessity.